I have to say that our first term was fantastic and even if it seems to be so far from now I can still look at the progress my Mini-Explorers made. Lots of new Italian words and a bunch of new artist inspired our trip around the farm. My favorite artwork was the scarecrow and the wonderful concept we could create around it, thanks to the masterpiece of Giuseppe Arcimboldo. The idea of creating with ordinary objects to shape the world is behind all ours workshops. Simple line becoming fairies or street light being a big dragon… the imagination of the children can really arrive inside everything and create a new world from the heart. Children use mostly their spirit, the irrational part of the brain, when they interact and it is amazing the way they can elaborate the world. This term 2 our activities are designed to explore feelings and emotions. The stage of “Teatro dell’Opera” is opening the curtain to discover what we like and what we see… acting, singing and dancing will give us the keys to express ourself and choose the colour we like for our picture. Art, music, stories, games are all designed to arrive to our heart and open it to a new world plenty of surprises. I keep with me the joy and the simplicity to be a child, that truly spirit that make you laugh and cry spontaneously to the good and bad things of life. I always remember the beginning of the book “The Little Prince” when the writer Antoine De saint-Expèry attempted to draw a picture of a snake with an elephant but the growing up could only see a hat in it. He had to fly to an imaginary galaxy to finally express his drawing skills and meet a little boy to animate it. Learn a new language it is creative and it is natural. 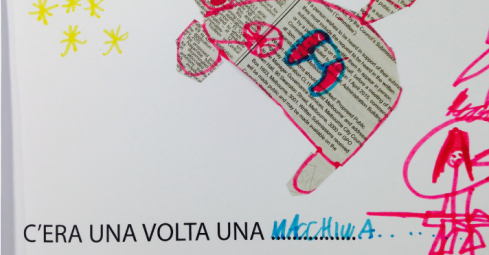 Minitalia Lab is the galaxy where pictures move and tells you stories. Come and meet our new characters this term we have a lot of picture to draw with you.